Fun and festive, let this Panama Jack tiki bar 3-piece backless bar stool set bring a little of the islands into your back yard. 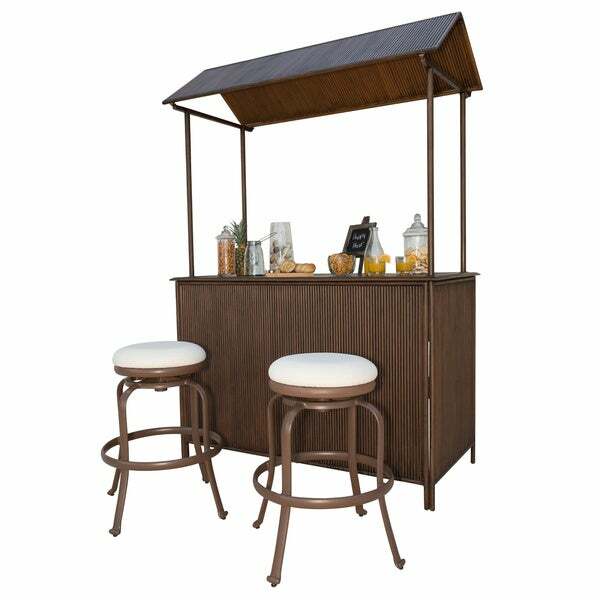 The swivel bar stools and canopied tiki bar are durable and water resistant. The powder-coated aluminum bar is finished with a brushed antique color that has been applied by hand, giving the entire set a modern, urban appearance. With tropical charm, this tiki bar set will add fun to all of your patio festivities. Made with Sunbrella fabric.